In response to the US’s threats of sanctions, the country’s senior leadership have accused Sen. Marco Rubio and CIA Director Mike Pompeo of “conspiring to overthrow” the country’s floundering leftist government and replace it with a friendlier regime, according to the Miami Herald. The escalation belies the healthy business relationship between the two countries, which is centered on the US’s purchases of hundreds of thousands of barrels of Venezuelan oil a day. . . .
Venezuela: Civil war at US’s doorstep? 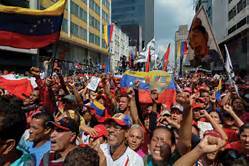 Former CIA Covert Operations Officer Mike Baker discusses the latest on the Venezuela crisis. 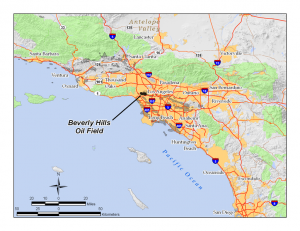 Map Below: “The Beverly Hills Oil Field is a large and currently active oil field underneath part of the city of Beverly Hills, California, USA, and portions of the adjacent city of Los Angeles. Discovered in 1900, and with a cumulative production of over 150 million barrels of oil, it ranks 39th by size among California’s oil fields, and is unusual for being a large, continuously productive field in an entirely urban setting (Wikipedia). Map Attribution: Antandrus at en.wikipedi Antandrus at en.wikipedia SOURCE: Wikipedia Commons ( This file is licensed under the Creative Commons Attribution-Share Alike 3.0 Unported license. Featured Image: Gates of the Arctic Nation Park, Alaska. SOURCE: Libraty of Congress (Public Domain). There’s a New kid on the block and his name is BRIC. Not Rick, but BRIC (1). Yes, it looks like it could be a permanent good-bye to the City of London Bankster’s worldwide web-of-debt, a system using the hijacked US Petro Dollar as the world’s exchange medium. Ben Swann’s Reality Check: Is This The End of The Petro-dollar? Hugo Chavez was no stranger to coup d’états – he attempted to launch one himself in 1992. 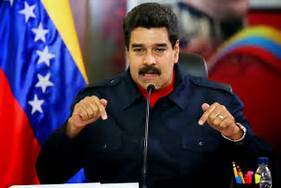 However, for about 48 hours in 2002, he was overthrown and no longer considered the President of Venezuela. His supporters alleged that the United States government was behind the short-lived overthrow. 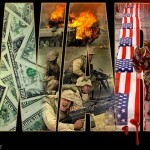 Does this hold a grain of truth, or is it another piece of inflammatory propaganda? Tune in to learn more in our first episode on the life, rule and death of Hugo Chavez.